Country music icon Loretta Lynn's holiday classic "Country Christmas" is a must-listen every year. Enjoy this video from 2016 featuring John Carter Cash! In 2016, country music legend Loretta Lynn released a special “Country Christmas” video which featured the famous holiday tune along with clips from past family Chrismas celebrations. 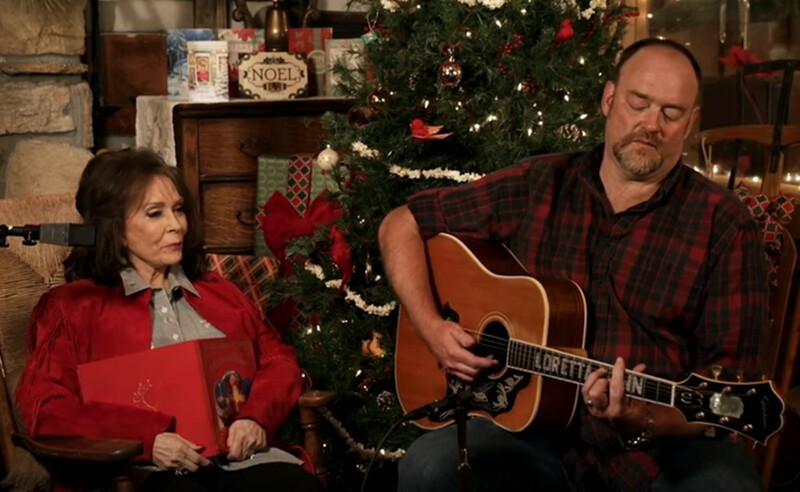 The clip also includes June Carter Cash and Johnny Cash‘s son, John Carter Cash, on guitar. This Loretta Lynn song appears on the Kentucky native’s second Christmas record, White Christmas Blue, which also dropped that year. Enjoy the heartwarming “Country Christmas” video below! Oh, what a Christmas feel. Share this moving performance with other fans of this incredible singer-songwriter!